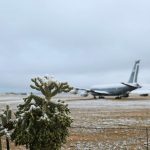 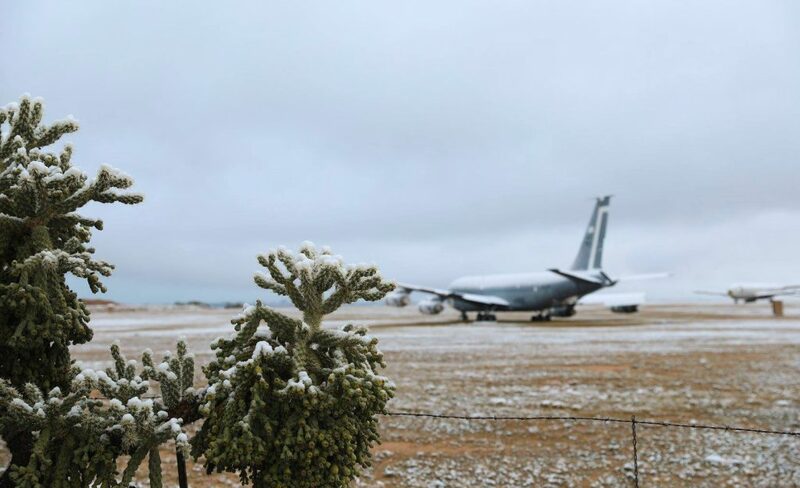 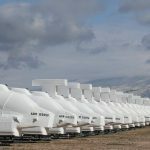 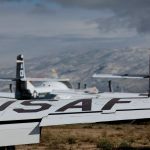 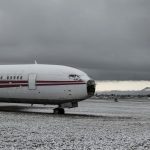 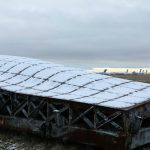 There was a snowfall during early January in the normally arid desert outside Davis-Monthan Air Force Base near Tucson, Arizona. 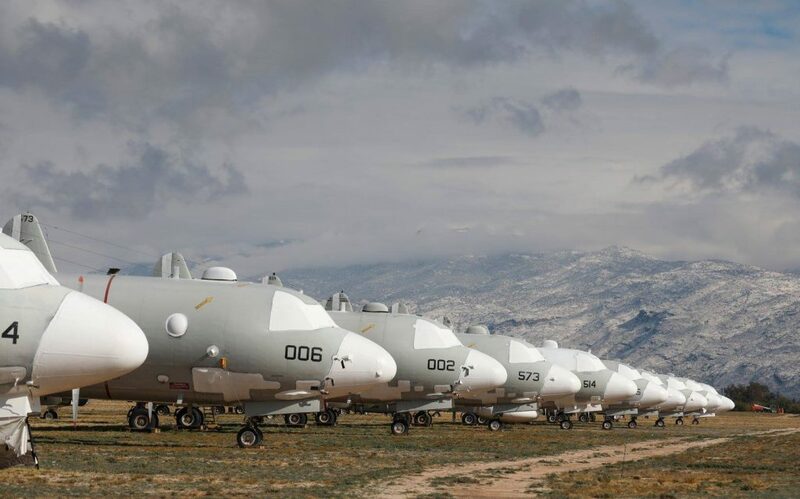 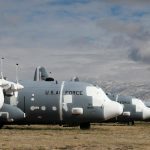 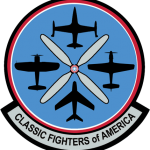 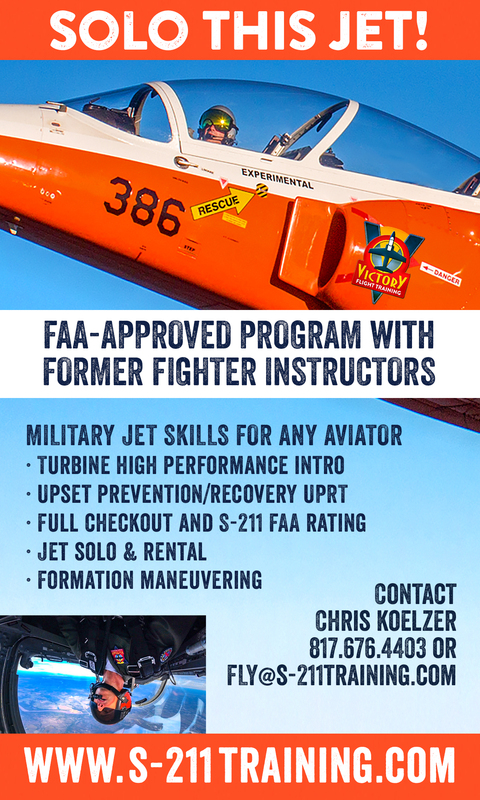 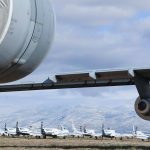 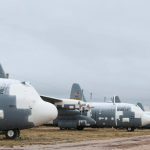 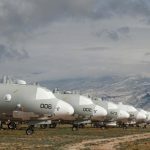 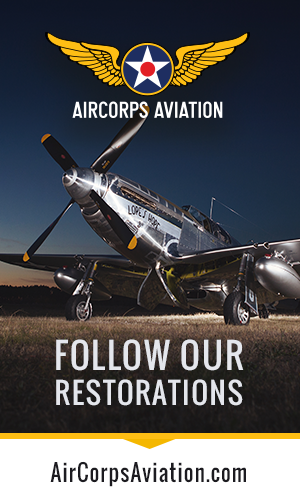 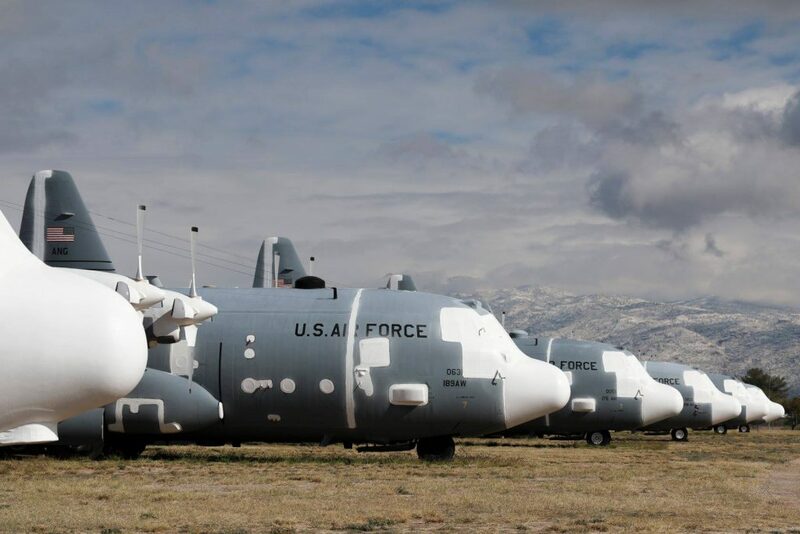 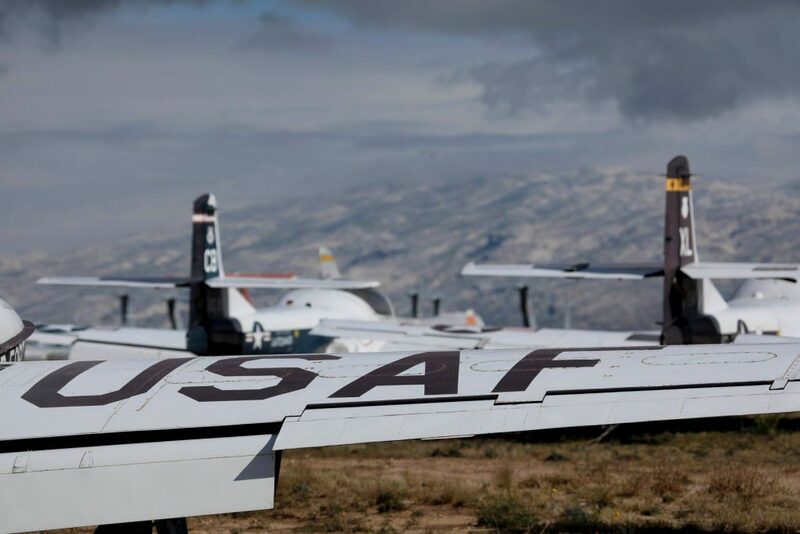 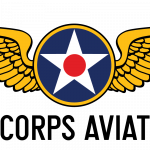 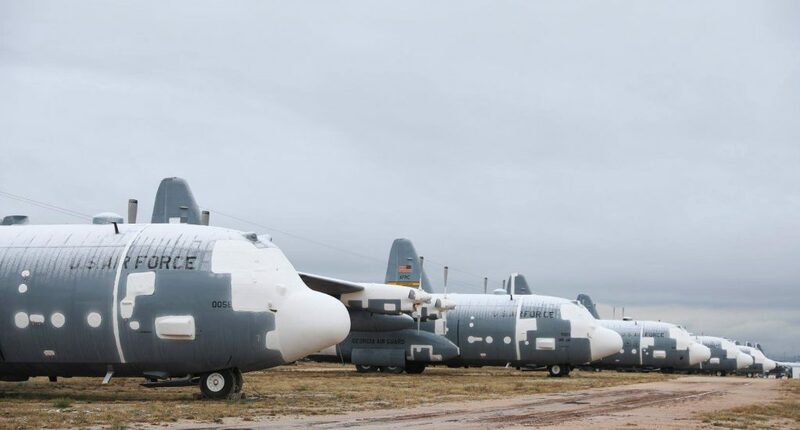 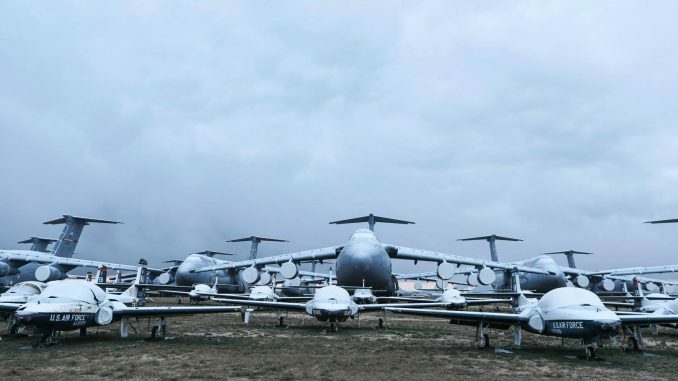 As many will know, this is where the U.S. Air Force’s 309th Aerospace Maintenance and Regeneration Group (AMARG), stores, maintains or regenerates military aircraft currently surplus to requirements. 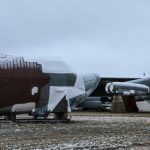 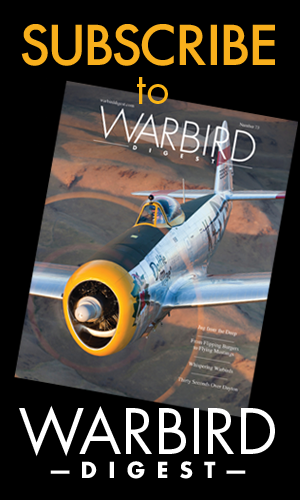 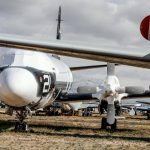 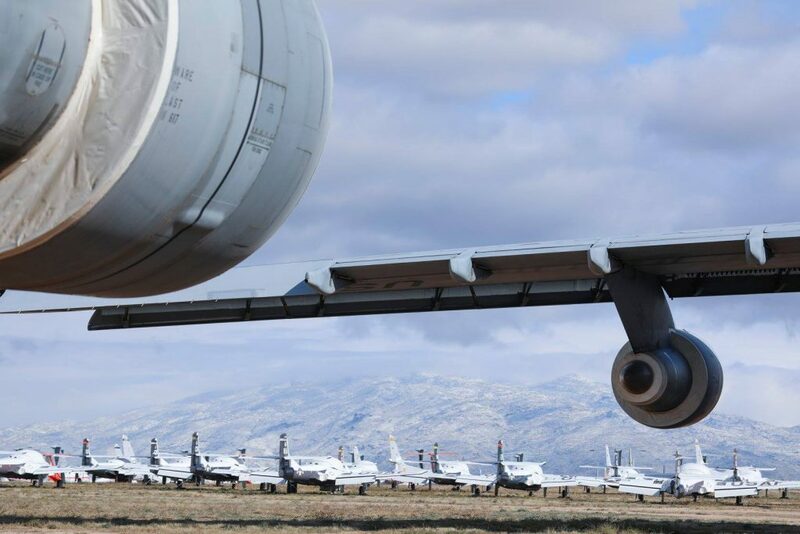 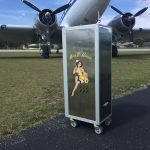 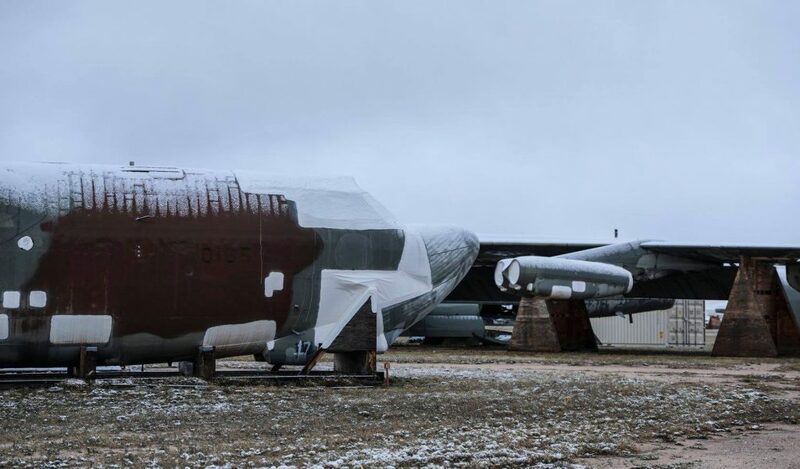 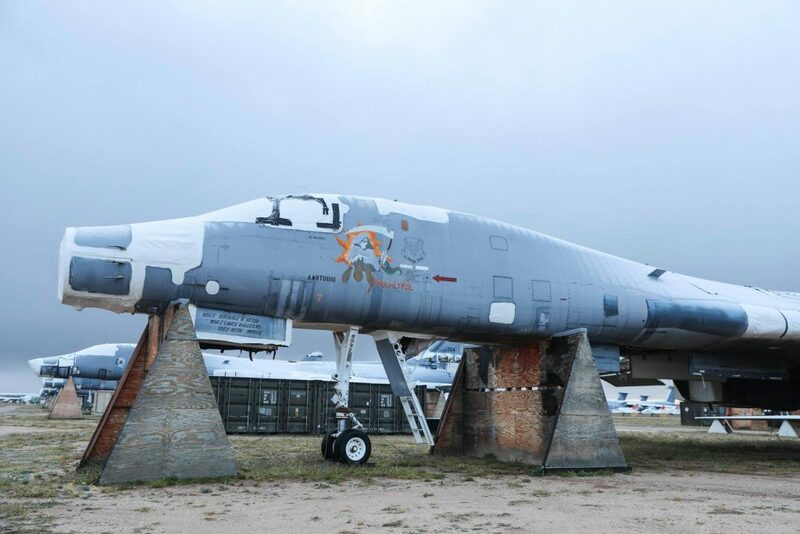 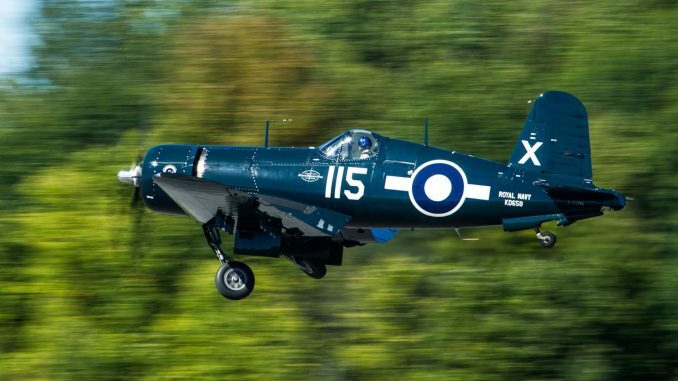 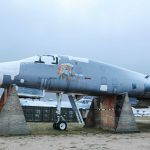 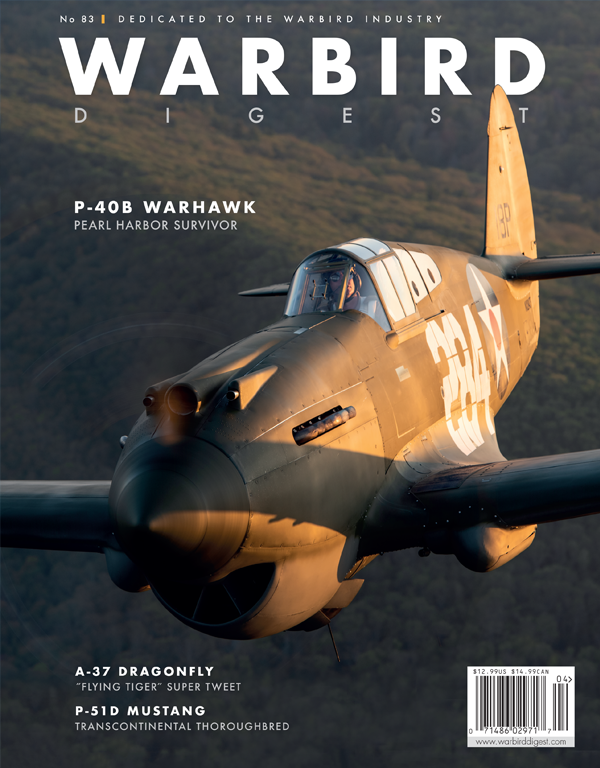 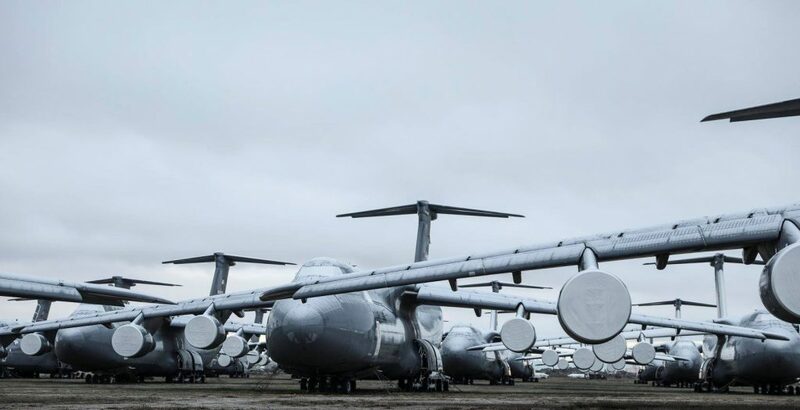 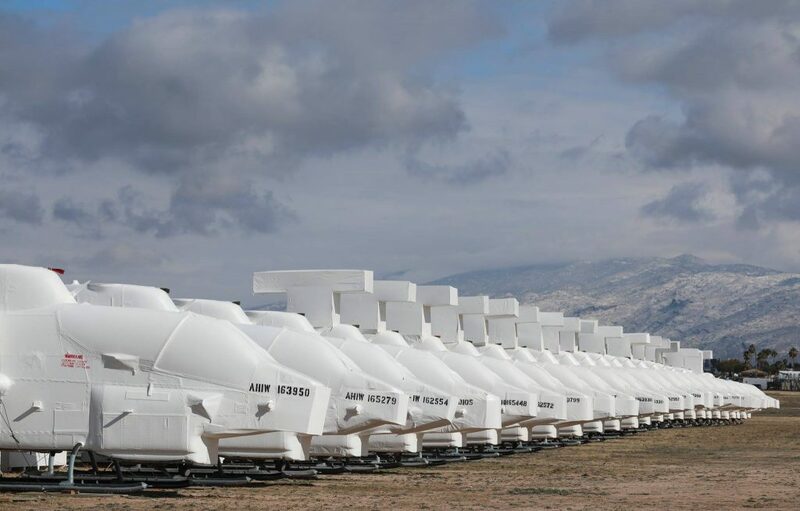 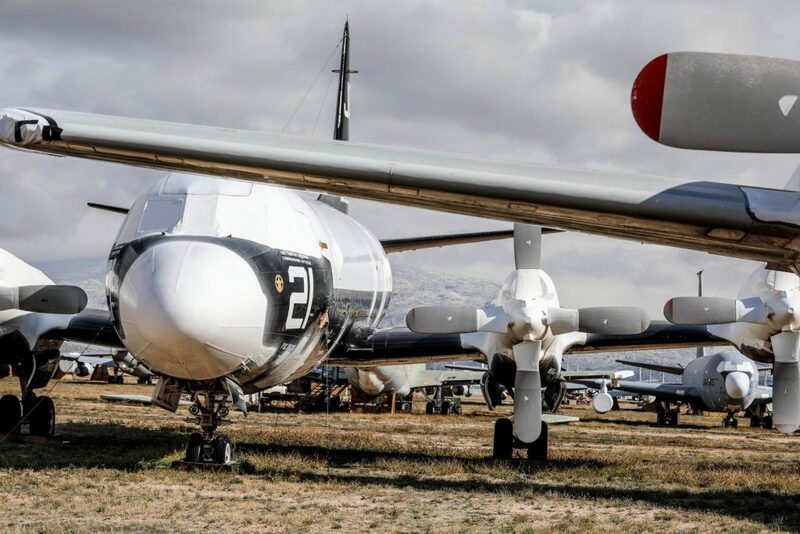 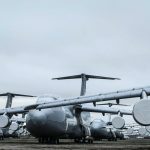 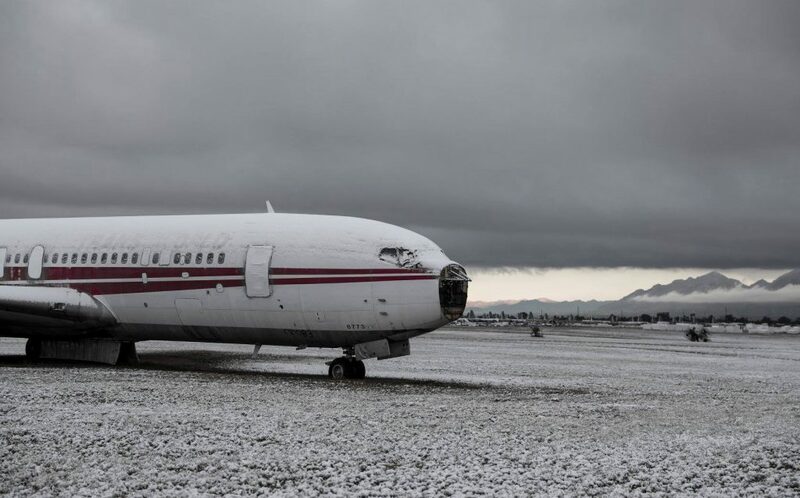 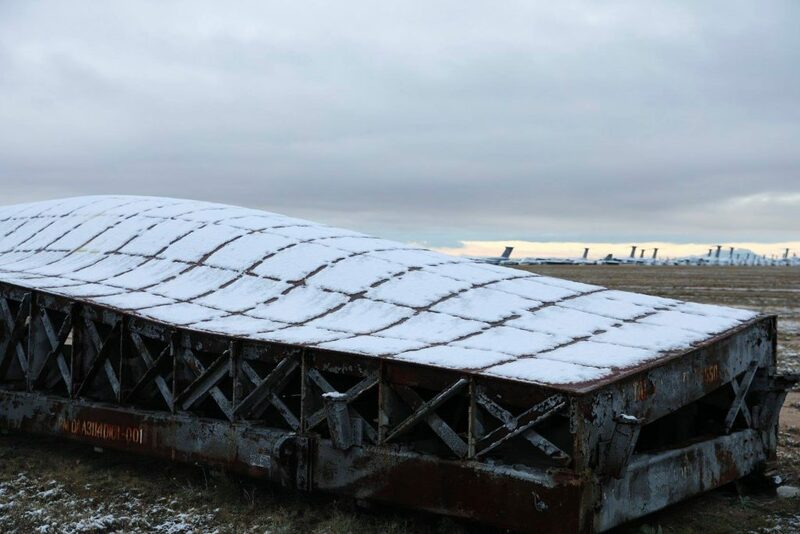 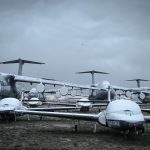 There are more than four thousand airframes housed in the open air on the several thousand acres of land which ‘The Boneyard’ occupies, so naturally it is a fascinating place for any aviation enthusiast, and one ripe with extraordinary photographic opportunities at that…. 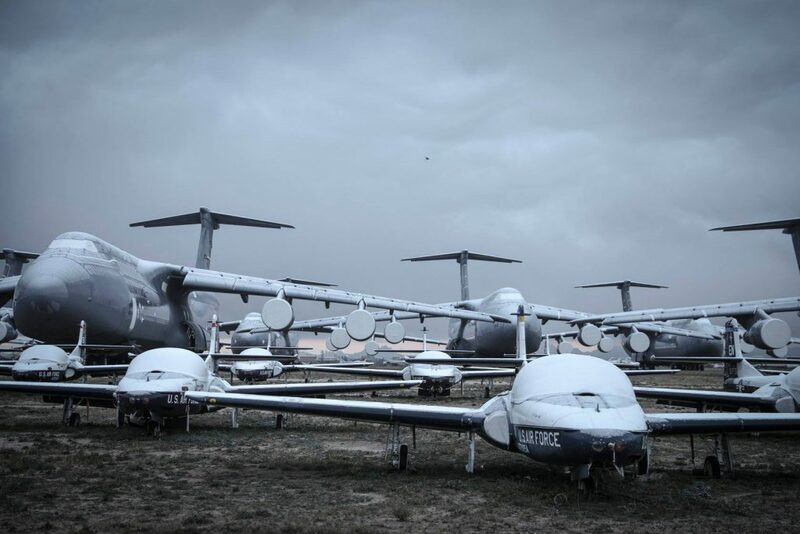 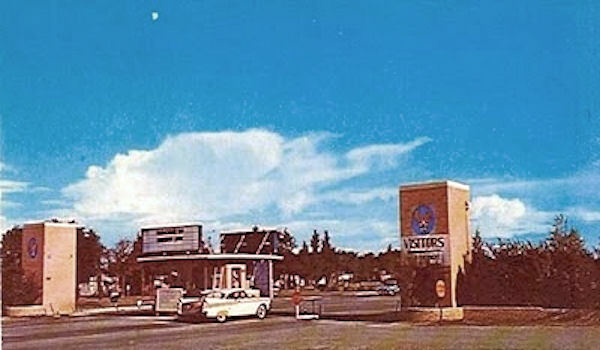 but this only rarely includes snow-covered subjects. 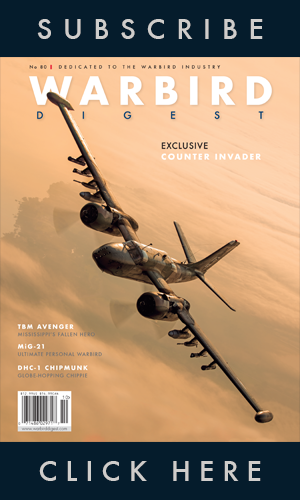 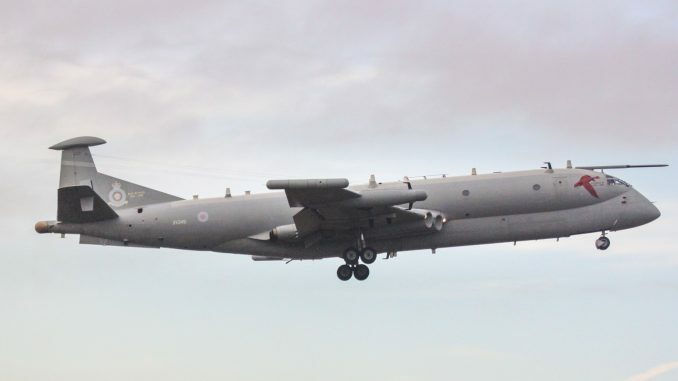 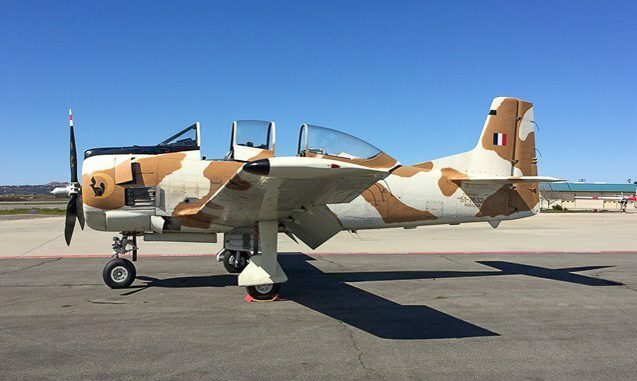 That is why we thought these beautiful images which the 309th AMARG posted on their official Facebook page would be of interest to our readers….